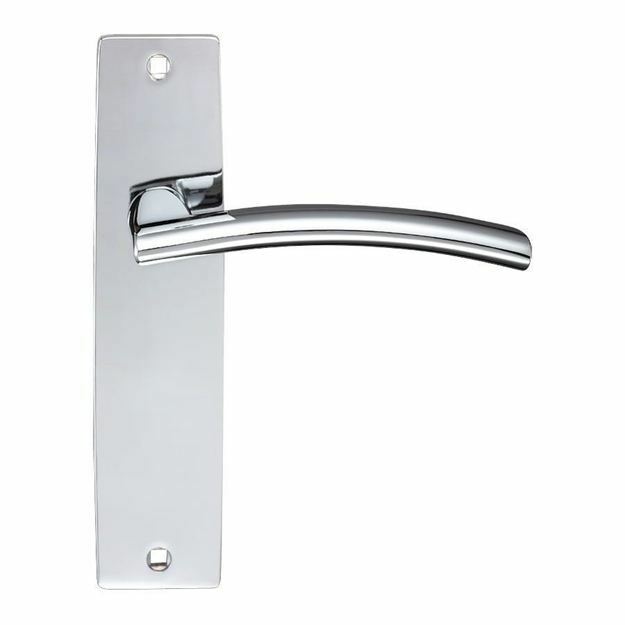 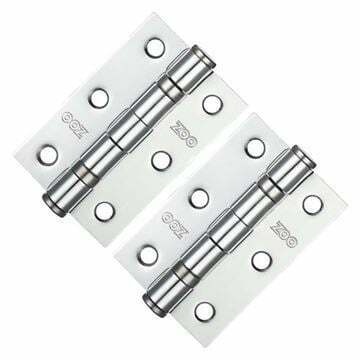 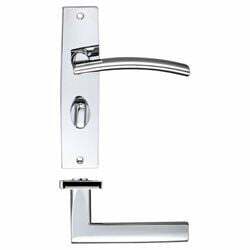 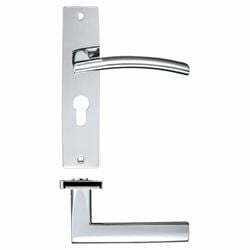 Amalfi door handle on backplate in polished chrome supplied in all door handle variations. 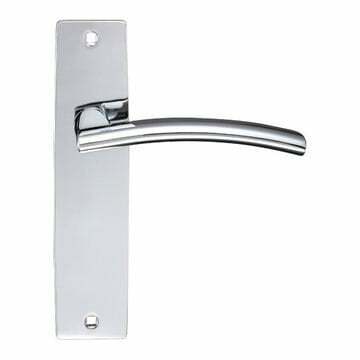 Back plate size 180mm high x 43mm wide. 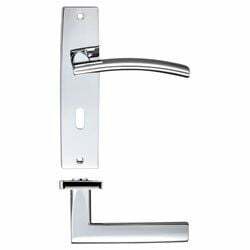 Projection from door face is 63.5mm.